Visa obtaining procedure consists of two steps. First step is to get an approval letter (commonly known as Invitation Letter, LOI) issued by State Migration Service of Turkmenistan (SMST), which assures granting a visa, regardless of its type. See the sample here. According to established practice, Counterpart (of visa beneficiary) in Turkmenistan files a request for LOI in State Migration Service of Turkmenistan. This is applicable for all types of visa. For example, for business visa applicant’s business partner in Turkmenistan can apply for LOI. Note. In case of tourist visa, only Turkmenistan national tourism agencies are eligible to act as Counterpart. 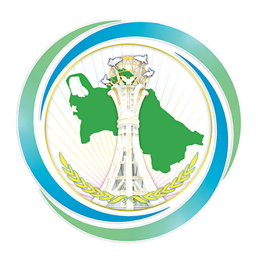 Please find here tourist agencies registered in accordance with Turkmenistan national regulations. application is for a transit visa. See requirements. applicant’s one of the parents is holder of Turkmenistan national passport. Second step is to stamp visa sticker in your passport. Once LOI is obtained, visa might be stamped at any Turkmenistan Embassy or Consulate General abroad or on arrival at the border crossing points of Turkmenistan, including international airports.